We’re proud to announce that Equitein have chosen Bigfoot Digital as their digital partner to help grow their business further by bringing the release of their innovative supplement to market. Equizyn supplements is a revolutionary breakthrough in sports nutrition for horses with a unique blend of natural ingredients used to support the recovery process of horses following exercise. 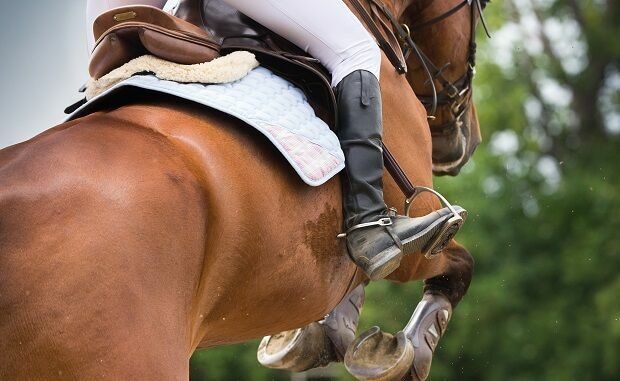 “Our product is like nothing else in the market as it features a blend of natural ingredients developed to aid the athletic performance of your horse,” explains Jim Gaskell, Head of Manufacturing, Research & Design at Equitein. Equitein came to us with an exciting product launch that was guaranteed to turn heads in the equine industry. The product has received celebrity endorsements from the likes of Zara Tindall MBE and Michael Scudamore Junior of Michael Scudamore Racing. It’s clear that Equitein has set the standard for all emerging horse care products with a supplement that is proven to speed up the recovery of horses. We’re so pleased that Equitein chose us to help communicate their solution of premium horse care to the wider public. They have agreed to the launch of a responsive website alongside a crowdfunding campaign to help support the Equizyn revolution. They want to bring together anyone who feels the bond between a horse and rider is based on the understanding of comprehensive care and treatment. To support the Equizyn revolution, get involved here. 25% of all profits raised will be donated to the World Horse Welfare charity to help put a stop to the unnecessary suffering of horses. “Since our first conversation we knew we’d found the right company to work with; Bigfoot Digital have the same drive and enthusiasm for the product as we do. It’s important to have the backing of a company that supports and fully understands your business, and that’s exactly what we get from them. We look forward to working in collaboration and seeing results from this project,” he explains. We’re excited to have Equitein on board and hope this is the start of a rewarding partnership between them and Bigfoot Digital.